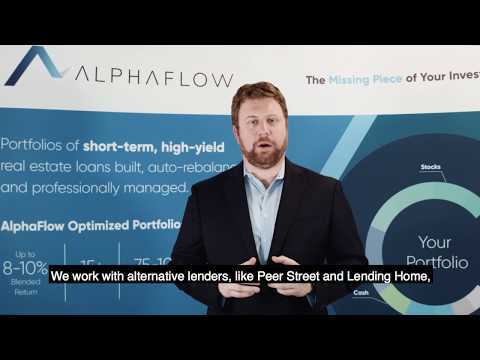 AlphaFlow works with alternative lenders to build optimized portfolios of real estate loans. You make one investment, we do the rest. It’s that simple. AlphaFlow Optimized Portfolios target returns of at least 7.5-9%, allocations of a minimum of 75 unique investments spread across 15+ states, and a maximum loan-to-value of 75%. Professional portfolio managers and proven investment algorithms build and manage your portfolio. Access your investment dashboard and manage your monthly earnings 24/7 through a secure online portal. Your current investments might not include a short-term, income-producing asset class. Now you can add a truly passive, professionally managed portfolio of real estate loans that targets returns of up to 7.5-9%. The allocations here are presented for illustrative purposes only and no specific allocations or weighting are recommended. Investors should consult with their own legal, financial, and tax advisors. Founded by the real estate, finance and technology leaders who started Real Estate Crowdfunding, AlphaFlow brings the same analytics and best practices used by hedge funds and private investors to mainstream investors like you. At AlphaFlow, our mission is to create the most passive, diversified and transparent real estate investment product on the market, without the high fees and high minimums of traditional real estate investing. 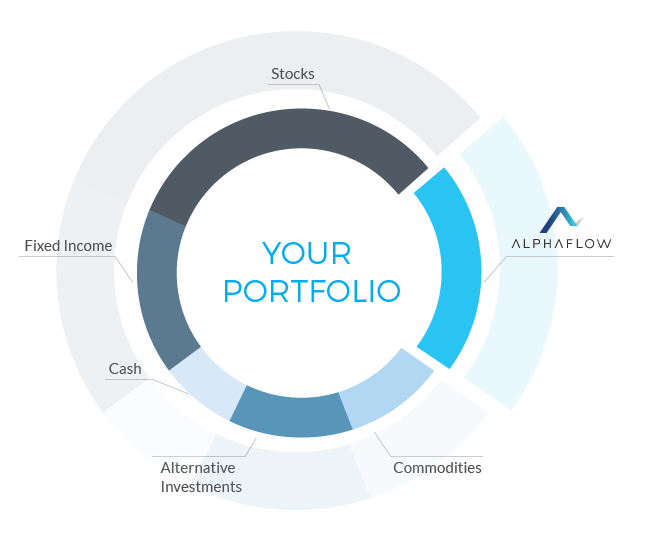 AlphaFlow is a registered investment advisor based in San Francisco, CA. 1Blended average weighted by dollars invested in each loan. Loan numbers include both AlphaFlow Optimized Portfolios and AlphaFlow Funds 1, 2, and 3. Investments may only be made pursuant to the Confidential Private Placement Memorandum of AlphaFlow Holdings, LLC dated as of March 2, 2017 and the Investor Agreement found on alphaflow.com. Past performance is no guarantee of future results. Any historical returns, expected returns, or probability projections may not reflect actual future performance. All securities involve risk and may result in loss. We do not provide financial planning services to individual investors. AlphaFlow does not provide tax advice and does not represent in any manner that the outcomes described herein will result in any particular tax consequence. Prospective investors should conduct their own due diligence, not rely on the financial assumptions or estimates displayed on this Website, and are encouraged to consult with a financial advisor, attorney, accountant, and any other professional that can help you to understand and assess the risks associated with any investment opportunity. © 2019 AlphaFlow, Inc. All rights reserved.